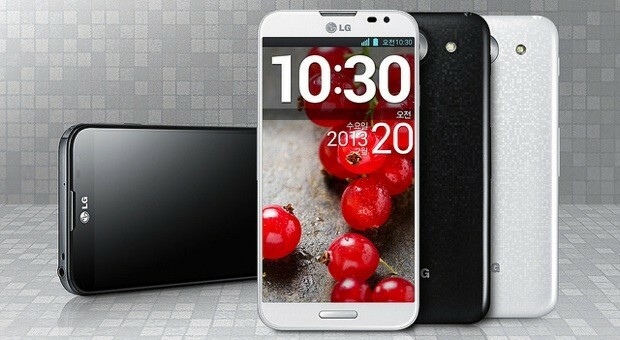 LG mobile will soon launched LG Optimus G Pro in the Philippines, expected release date and price are still unknown. Awarded by LTE World Summit 2013 as the Best LTE Smartphone! Powered by 1.7GHz Quad-Core Qualcomm Snapdragon 600 Processor and running on the latest Android software Jelly Bean 4.1.2, huge 2GB of RAM will also be featured on LG Optimus G Pro. Equipped with 13MP Full HD camera with LED flash with 1080p Full HD video recording and decoding support, additional feature includes pause and resume recording like a video editing software for PC. More specification below. Updated! Read below for price and availability. The LG Optimus G Pro is sure to set another benchmark in the Philippine smartphone market. 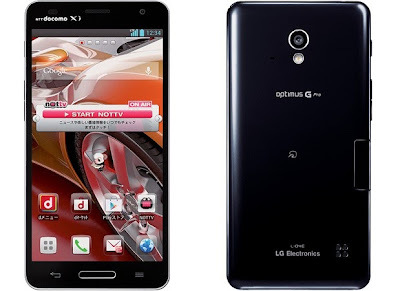 The newest addition to the Optimus family embodies the beauty of the Optimus G but has bigger and bolder features that give the market a more compelling choice for a high-end smartphone. Smart Videos - Much like one of the feature of Samsung Galaxy S4, using your eyes to control videos that automatically stops and starts according to your eye movement. QRemote - Using your smartphone as TV remote, compatible to most electronics and appliance brands such as HDTV, TV, Aircon, Bluray Player. Dual Recording - Using both front and back camera simultaneously, for instance, capturing video on back camera while taking pictures on front camera or both and vice versa. VR Panorama - Create 360-degree views by automatically stitching together individual images into one Full HD panorama. Update: For Php27,990 | Available now in the Philippines nationwide. Price of LG Optimus G Pro is still unknown as of this moment, same as the availability. But one thing is for sure, its coming in the Philippines. More info to add soon. What can you say about LG Optimus G Pro? Is the price will be affordable? Kindly share your thoughts! Thanks.